I keep asking myself if I should take photos of "them" cos I haven't really see the real "brothers and sisters" appear infront me. 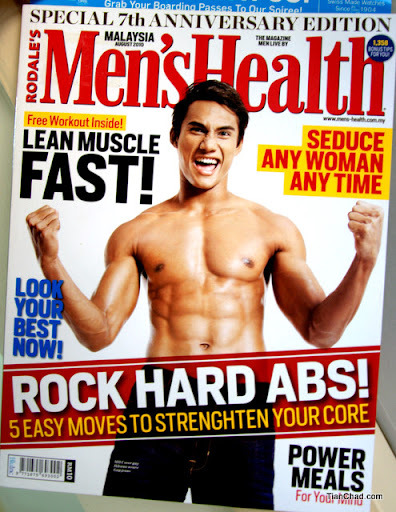 This is Ikhwan from Andrewsmodels appear on Men's Health Magazine Malaysia August Issue. I hope one day I can reach that level!! I am writing a blog post that is related to fitness and just to share a little part of it because I am playing with Photoshop. Stay tune for my next blog post~! !